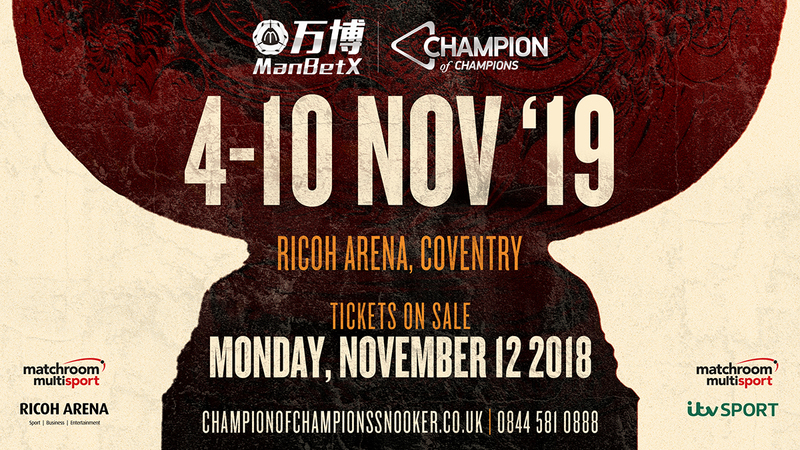 Promoted by Matchroom Sport, snooker’s showpiece event the ManBetX Champion of Champions, returns to the Ricoh Arena in Coventry, November 4-10 2019, and will bring together many of the best snooker players on the planet. 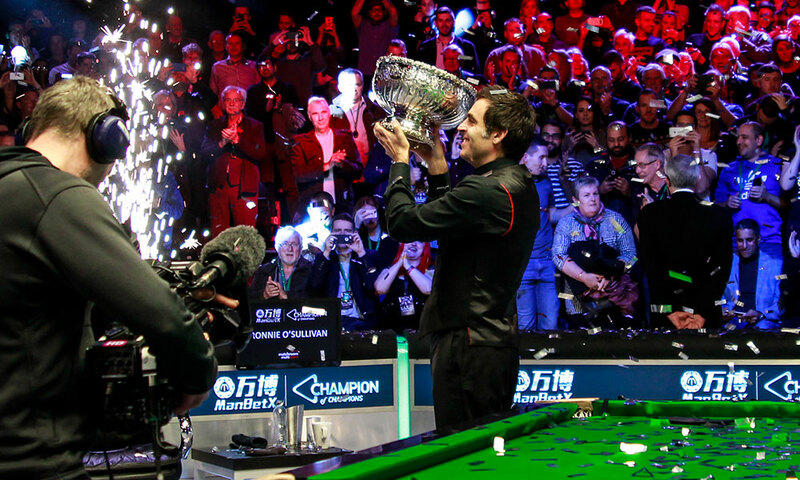 With a top prize of £150,000 and current champions of snooker’s major tournaments including defending champion Ronnie O’Sullivan all invited, the ManBetX Champion of Champions continues to build on its position as one of the most anticipated events of the snooker season. The tournament will start with a quartet of four-man groups, with the winner of each group to progress to the semi-finals. 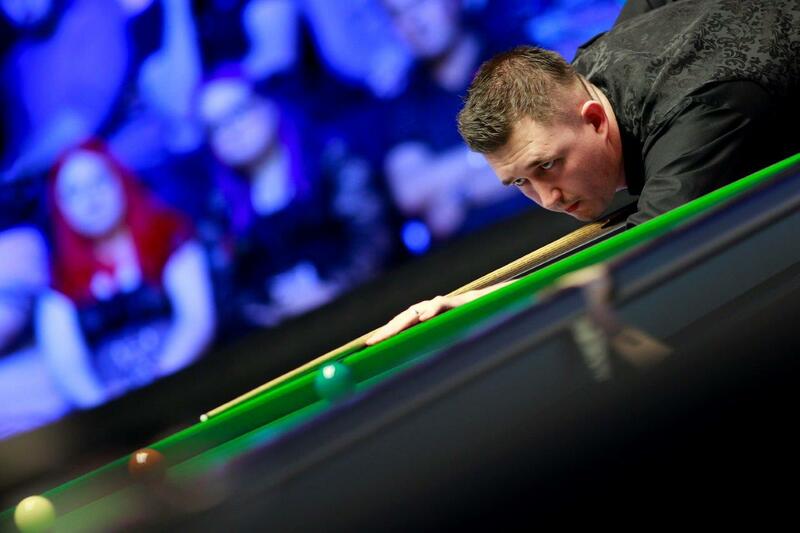 The final on Sunday, November 10 will be over 19 frames. 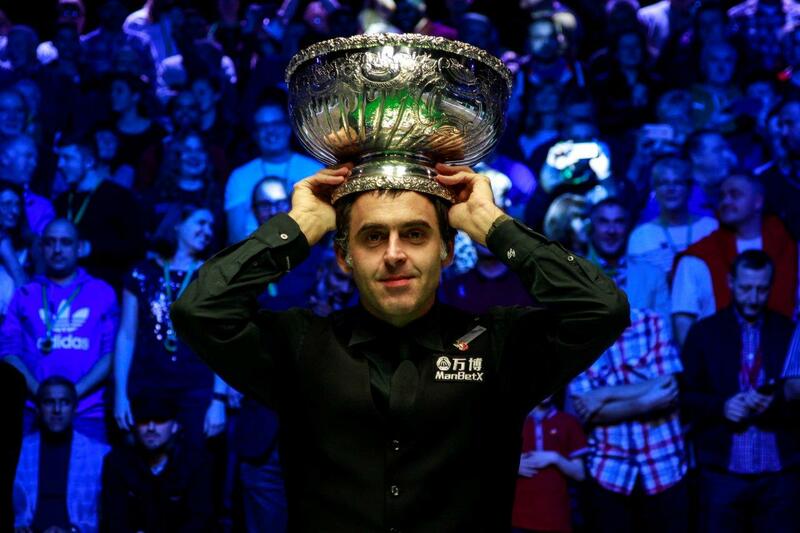 Sixteen champions will compete… but there can only be ONE Champion of Champions.